Supreme Court Hears Argument on Applicability of Federal Arbitration Act to Transportation Independent Contractor Agreements - Employee or Independent Contractor? On Oct. 3, 2018, the U.S. Supreme Court heard oral argument in the case of New Prime Inc. v. Oliveira, No. 17-340. This case addresses (1) whether an arbitrator or the court should resolve a dispute over the applicability of the Federal Arbitration Act’s Section 1 exemption for “contracts of employment” of transportation workers, and (2) whether the Section 1 exemption is applicable to independent contractor agreements. 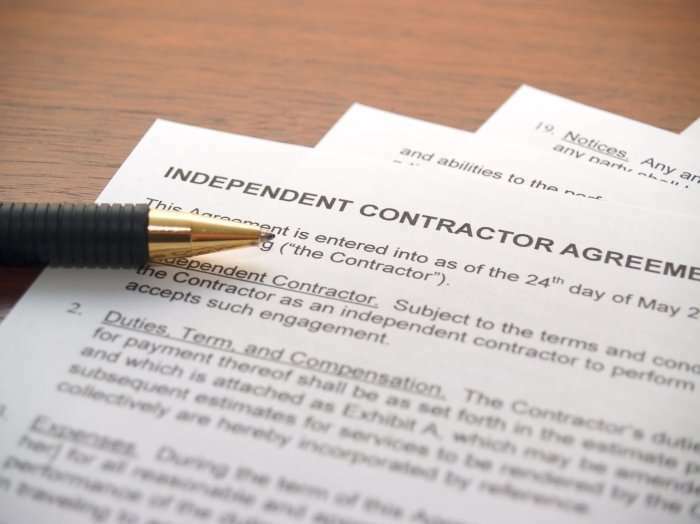 As we noted in a prior blog post, this case has key implications for deciding the arbitrability of independent contractor misclassification cases. In its brief to the Court, Petitioner New Prime, Inc. argued that the applicability of the Section 1 exemption must be resolved by an arbitrator where, as here, the parties agreed to arbitrate threshold arbitrability issues. Respondent Dominic Oliveira maintained that courts must determine whether the FAA applies before relying on it to compel arbitration. On the second issue, both sides agreed that the term “contracts of employment” must be given its ordinary meaning at the time Congress enacted the FAA, but they disagreed about the ordinary meaning of that term. New Prime asserted the term means contracts that purport to establish a common-law employer-employee relationship. Oliveira argued the term refers to anyagreements to perform work—including independent contractor agreements. During oral argument, New Prime’s counsel, Theodore Boutrous, stated that whether an arbitrator or a court decides if the agreement is a “contract of employment,” that decision should be based on the four corners of the contract. Oliveira’s counsel, Jennifer Bennett, responded that the issue cannot be decided solely on the basis of what the agreement states, but rather on the worker’s actual status. Mr. Boutrous reiterated that Congress intended traditional employment agreements—not independent contractor agreements—to be the subject of the exemption, while Ms. Bennett pointed to sources suggesting that “contract of employment” covered a general category of agreements to perform work. Both sides agreed, however, that a threshold determination by a court or an arbitrator that a driver’s contract was an independent contractor agreement would not bind the arbitrator for purposes of deciding the driver’s Fair Labor Standards Act claim. The arbitrator would still need to determine the merits of that claim. One notable exchange related to whether it made a difference if the agreement was between the defendant and a business or the defendant and an individual. Justices Alito, Kagan and Gorsuch raised questions about this. Ms. Bennett stated that workers, but not companies, would be covered by the exemption. Justice Kagan asked: “In every case, we have to figure out whether a worker is involved or a company is involved?” To which Ms. Bennett responded: “That’s correct. And in most cases, that won’t be difficult.” But Justice Alito noted that it could be difficult when you look beyond corporations and consider partnerships or sole proprietorships, for example. Indeed, it is often the case that defendants in misclassification cases have contracted with a mix of individuals, sole proprietorships, d/b/a’s, limit liability companies and other business associations. Ms. Bennett said the focus should be on who the parties agreed would personally perform the work. “If the parties didn’t contemplate that the person who agreed to do the work would personally do it, then it wouldn’t fall within the exemption,” she said. In reply, Mr. Boutrous pointed out that the independent contractor agreement in this case was between New Prime and a limited liability company that Oliveira formed, so it is an agreement between two businesses. Given the Court’s level of interest in this aspect of the argument, the Court’s decision could lead to a renewed emphasis on the legal form and structure of the contracting parties. A decision is expected in the first half of 2019, and we will update this report when the decision is issued.